Real Discounts on Lift Tickets To Utah's Ski Resorts from the Salt Lake Tourism Center. 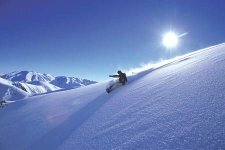 Discount Lift Passes for Skiers and Snowboarders: With discount lift passes available for the major ski resorts in the state, you get on the slopes for less money. Discount lift passes for ski resorts include Alta, Snowbird, Brighton, Solitude, Snowbasin, Powder Mountain and Sundance.